Laneway Festival have just dropped a huge lineup for their 15th birthday celebrations and we're coming along! 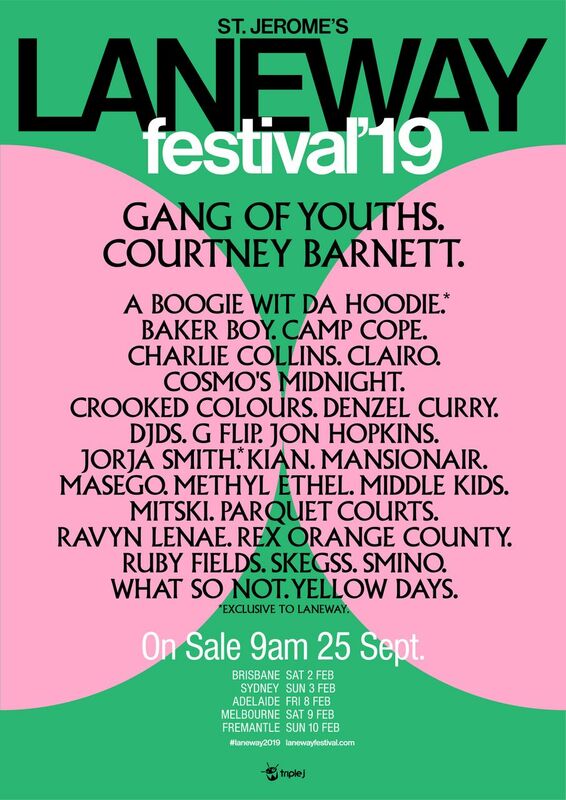 Astral People are proudly presenting Maseho (US), Smino (US), and Cosmo's Midnight in the mix, playing across the country alongside headliners Gang of Youths and Courtney Barnett. Undoubtedly the biggest country-wide birthday party, Laneway will hit Brisbane, Sydney, Adelaide, Melbourne and Fremantle in February 2019.